BRLIN -- Germany's government is preparing a second round of potentially costly measures to reduce pollution from diesel vehicles as the country struggles to come to terms with excess emissions three years after Volkswagen admitted to cheating. 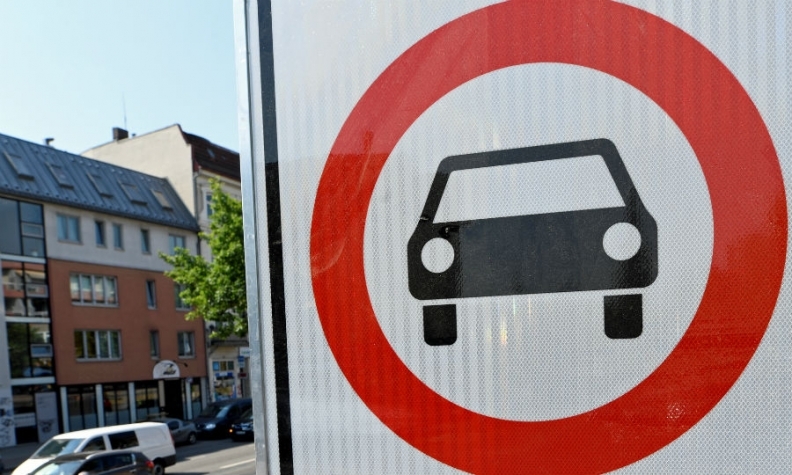 With cities including Stuttgart and Frankfurt poised to impose driving bans because of excessive levels of smog-causing nitrogen oxides, Chancellor Angela Merkel’s government is under increasing pressure to come up with a solution. Actions agreed with automakers last year, including software upgrades to emissions systems and trade-in incentives for older diesels, have proven insufficient. "The quick and overall better way is to replace the old fleet with a new one," Merkel said late Thursday at a town-hall event in Augsburg, Germany. "In addition, the door can be opened for retrofits on some vehicles. And if and when that happens, we believe the customer shouldn’t have to pay for it." Merkel will meet Friday with her ministers for transportation, finance, economy and the environment to hammer out a new plan. If there’s a deadlock, the heads of the coalition parties will gather Monday to seek a compromise. Automakers, including BMW and Daimler, are expected to play along, even though the government has little legal leverage because the vehicles were properly certified. The manufacturers are keen to avert driving bans as the incessant debate is causing consumers to shy away from diesel technology, which is profitable, secures German jobs and helps meet tighter environmental regulations. "The carmakers caused the diesel crisis," Environment Minister Svenja Schulze said on Twitter. "That's why they need to finance the solution." This is the plan preferred by automakers as it deals with the pollution problem by promoting sales of new models. For the government, it’s good because it’s a quick fix. The incentives need to be generous enough to get a hefty uptake. Last year, car manufacturers offered rebates, such as 2,000 euros ($2,335) on a new BMW. That means more could be expected this time around. Politicians, including Environment Minister Schulze, are calling for automakers to bolster emissions systems on older vehicles by installing new hardware such as tanks for urea, which neutralizes nitrogen oxides. While that could reduce pollution on the road, developing, certifying and installing the equipment would be complex and take time. Carmakers and Transport Minister Andreas Scheuer warn that costs could exceed estimates of 1,400 to 3,300 euros per car. Still, some type of hardware fix will likely be part of the package. The government is considering allowing customers to return an older diesel for its current value plus a bonus. This would be the worst-case scenario for automakers, as customers could use that money to buy a vehicle from another brand or pocket it and take the bus. This is unlikely as it would prompt stiff resistance from Germany's auto industry.